Scotty T (real name, Scott Timlin) just sent Chloe Khan a very public request for her WhatsApp details… But within hours she denied him. Chloe was evicted from the Celebrity Big Brother house just days ago, but it didn’t take long for Scotty T, professional nobody, to send Chloe a tweet in direct view of his 1.6 million followers which read: ‘Alreet kid what’s your whatsapp’. Love in the 21 century eh. ..@chloekhanxxx alreet kid what's your whatsapp ? However, according to the Mirror, Chloe won’t be seduced by the poetic tweet and will remain committed to Bear whom she had a bit of a romance with in the Celebrity Big Brother house. She seems smitten with Bear and has promised to wait for him, so anyone else is out of the picture right now! Chloe and Stephen Bear had a very public relationship in the Big Brother house which for the most part was rather x-rated, however whenever Bear gets evicted, the rejection of Scotty T will likely serve only as music to his ears. 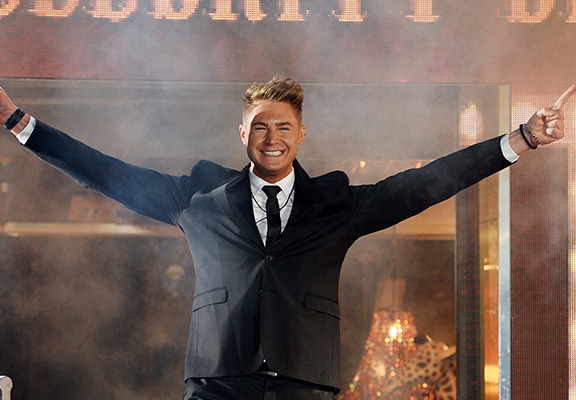 Both Scotty and Chloe both featured in different seasons of Celebrity Big Brother where they both, ironically, reached their peak celebrity status. What will become of them both now?